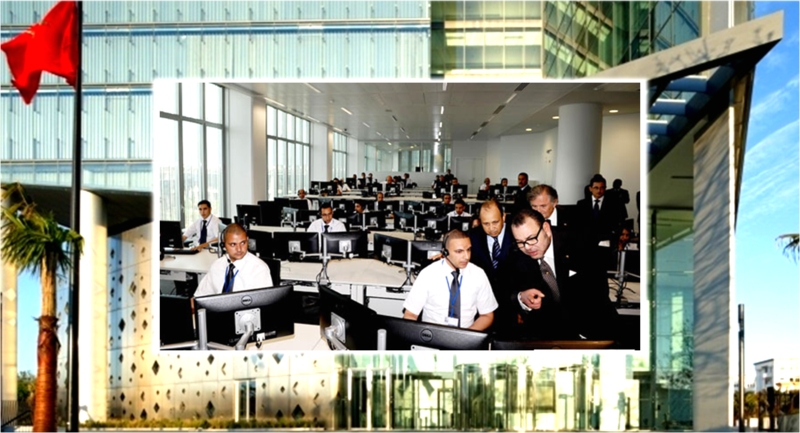 Morocco King Mohammed VI inaugurates new high-tech, eco-friendly Maroc Telecom Tower in Rabat. Arab Herald, AllAfrica, MAP (Rabat, Morocco, June 18, 2013) – Morocco’s King Mohammed VI inaugurated Monday in Rabat the Maroc Telecom Tower, a high-tech building that enriches the capital city’s architectural heritage. 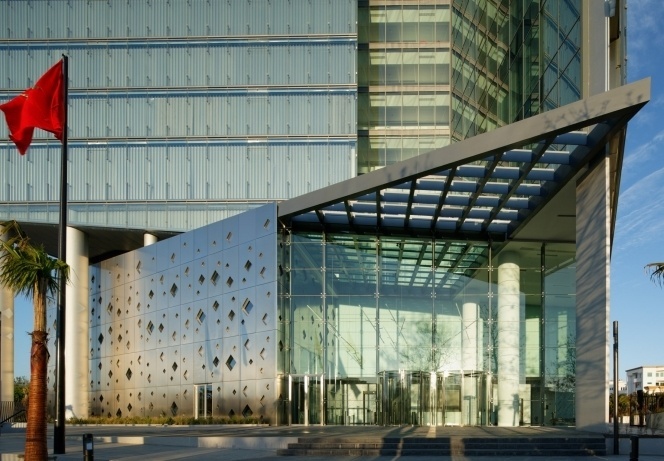 The Glass Tower which serves as Maroc Telecom’s new corporate head-office has been designed to reflect the expertise and know-how of Morocco’s first telecommunications operator in the Kingdom, and to integrate technology for better energy efficiency. Several factors were taken into consideration while erecting this 23-story building, including the reduction of energy consumption, optimal water management, thermal and acoustic comfort, and safety. Built on a total area of 5 hectares, the Maroc Telecom Tower, can accommodate more than 800 people, and is expected to bring together the company’s various services, previously spread over several buildings in Rabat with the aim to improve employees’ working conditions and productivity. The new building includes offices, a conference room, a restaurant and a telecommunications museum which showcases a rich collection on the technological development of telecoms in Morocco. It also includes a modern auditorium with a capacity of 600 seats to host various events (conferences, concerts, shows or films screenings). This eco-friendly building has received honorable mention in the “Tall Building” category at the Ecobuilding forum in Paris. King Mohammed VI was joined for the inauguration by CEO of Maroc Telecom, Abdeslam Ahizoune.